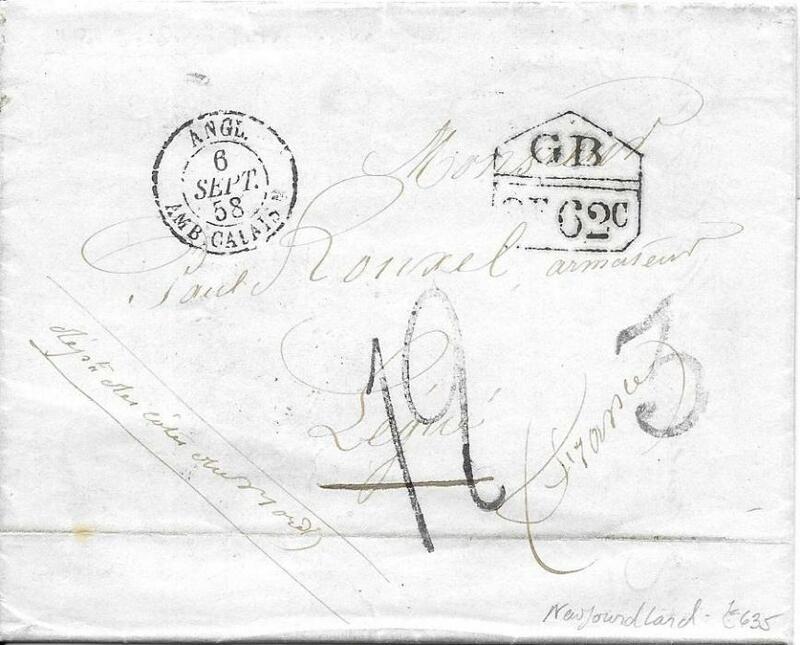 (Newfoundland) 1858 entire datelined �Petites� to France bearing accountancy handstamp �2f62c�, rating handstamps on front as well as French entry cds, reverse with framed SHIP LETTER/ HALIFAX N.S. 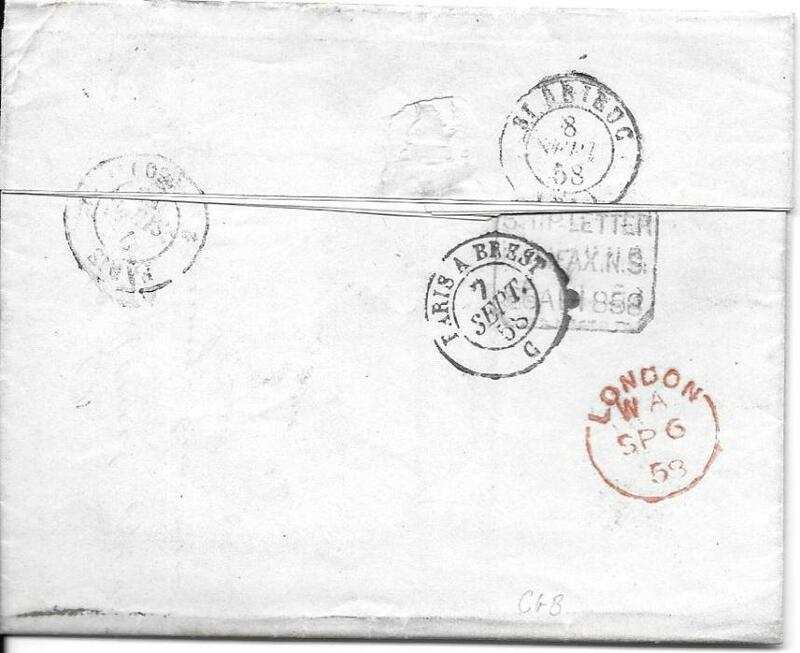 datestamp, red London transit and internal French cancels; fine and clean condition. 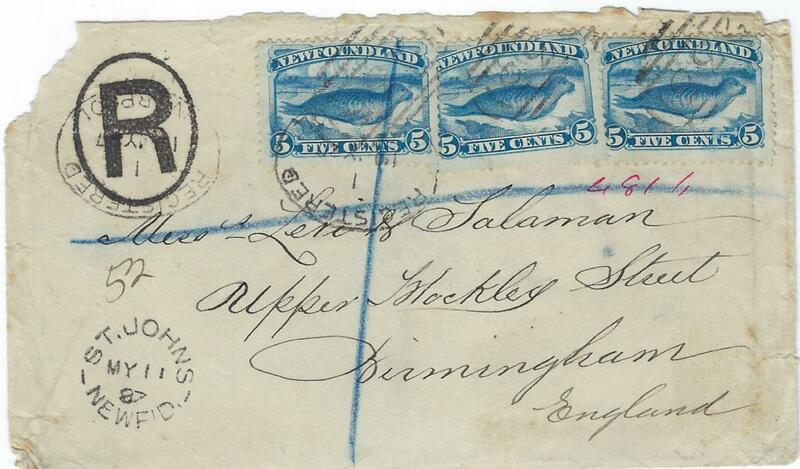 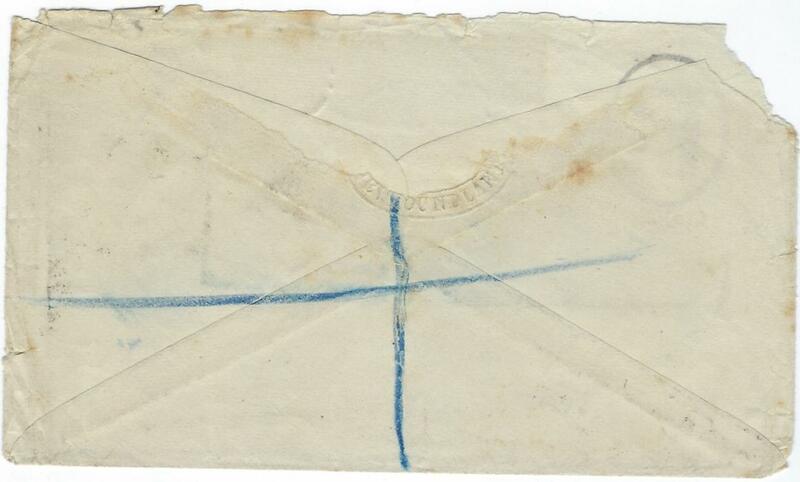 1887 (MY 11) registered cover to Birmingham franked three single 5c �Common Seal� tied by �235� obliterators with St Johns cds bottom left, two Liverpool transits; backflap missing.